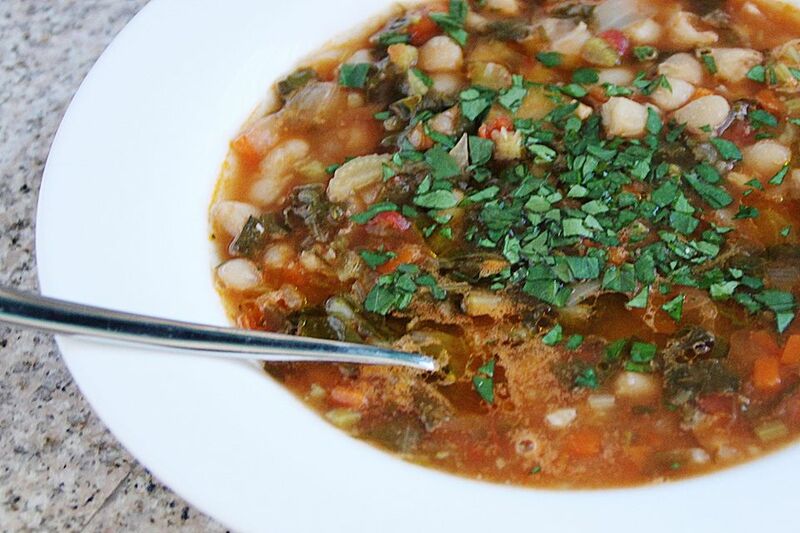 Here is an easy yet hearty recipe for white bean soup that melds the flavors of navy beans, pork, onions, garlic, and seasonings. Drain and rinsed the white beans that have been soaking overnight. Place the beans, water, bay leaves, salt pork, and ham hocks in a soup pot and bring to a boil over medium heat. Cover and simmer for 1 1/2 hours. Remove the salt pork and discard. Remove the ham hocks and shred the meat from the bones. Put the shredded meat back into the soup pot. Sautee the onions and garlic until soft and translucent. Add to the soup pot. Add the cumin, oregano, salt, and white pepper to the pot.